Living in the UK, a cuppa is a way of life. Let me be honest here, until I stepped foot in the UK way back in 2008, I had never experienced the joys nor the zen-like calming properties of a cup of hot tea. My first brew was a heady black tea, milky and sweet and it's how I enjoy my cuppas to this day. Given the facts, the UK Tea Association says we Brits guzzle an astonishing 165 million cups of tea every day, it's easy to forget that tea has a process. That it isn't just packaged grounds or loose leaves in tiny sachets on a supermarket shelf. 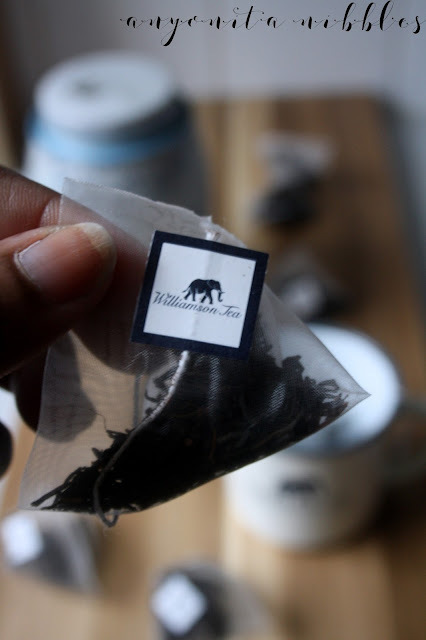 Ever conscious of where my food or drink, in this instance, comes from, I was intrigued to read about the shaded forest of Kaimosi and Williamson Tea's Bush to Cup Transparency policy. As I sipped my Kenyan Earth brew, I couldn't help but feel that the tea tasted that much sweeter, and much lovelier. The Kaimosi is a forest rooted in iconic red earth, yielding some of the most robust, yet mild tea I've tasted. By mild, I mean that this tea is subtle. It's a tea drinker's tea; it's not your builder's brew of brute force; it's a delicate ballet of aromas, a whisper of gentle flavours. On first taste, I expected the usual assault to the senses you tend to get from a breakfast tea, how it can quickly wake you up, almost with the quick jolt customarily dealt by fresh coffee. It took my second brew for me to understand this and to taste the complexities in the blend. This tea is grown in a forest home to a host of enchanting, magically-sounding creatures like the Dancing Jewel Dragonfly and Crested Cranes. Its leaves spring up from a topsoil peppered with igneous rock, reaching toward the sky, drinking in the rain that frequently falls in the region. Somehow, staring into the pool of its rich red hue, all of that is carried forward from the tea. It's a brew that is very much a part of, a symbol of and a reminder of where it comes from. For me, this isn't a first-thing-in-the-morning brew. 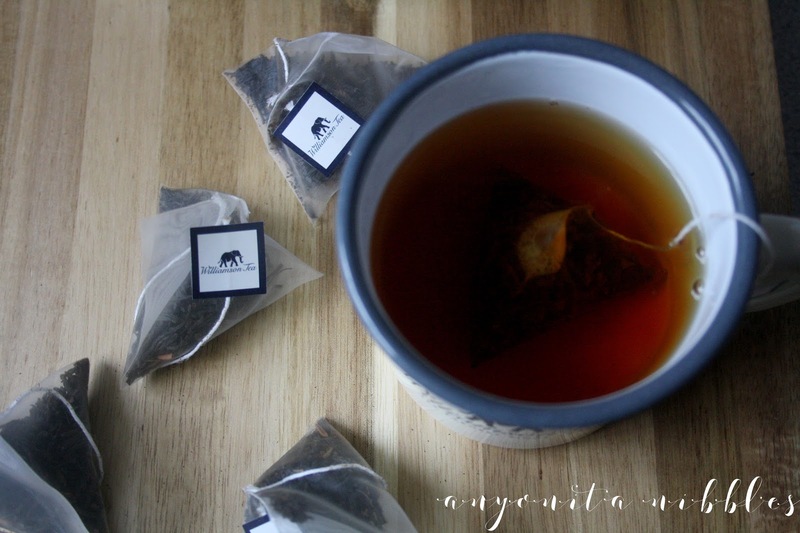 The Kenyan Earth blend would be ideal nectar during the rush of a busy morning, the last hour or so before the lunch break, when the mind starts to grow weary of work and the tummy begins to fantasize about food, willing you to distraction. 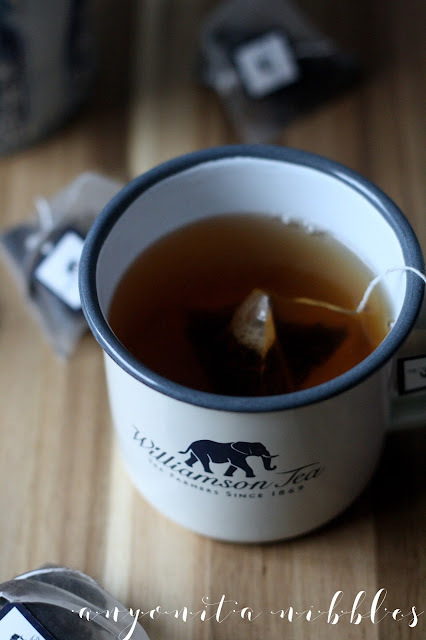 This is the type of tea that will gently bring you back to the task at hand, stimulating your mind and energising gently - not the brisk slap of an energy drink, but the natural, gentle coaxing that only nature can provide. It's very nearly the same feeling I get when I've spent a few moments meditating or in Downward Facing Dog. It's the yoga of stimulating teas, quieting the chaos, fueling you with the power to #keeponwandering. The lovely people at Williamson Tea provided me with a sample of tea bags and the stunning mug depicted. Although compensated, none of the views or opinions expressed within this post have been bought, coerced, bribed or influenced. 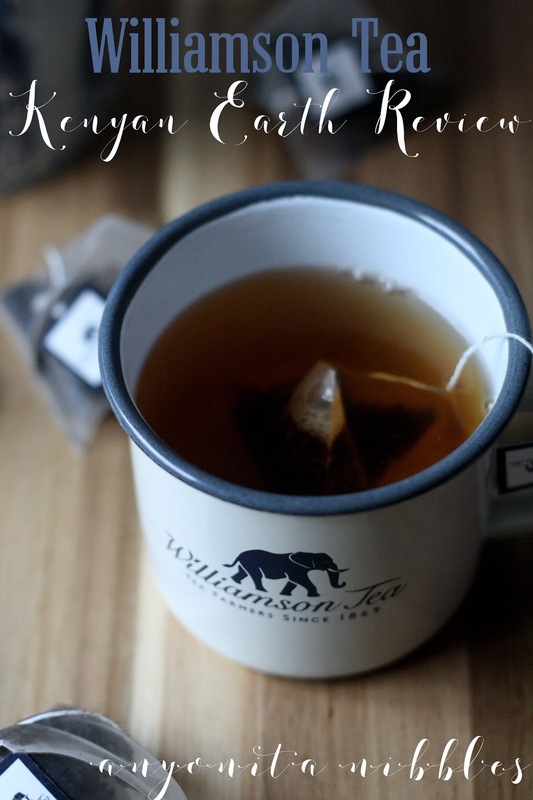 All words are my own and have not been coached or vetted by Williamson Tea or anyone else.